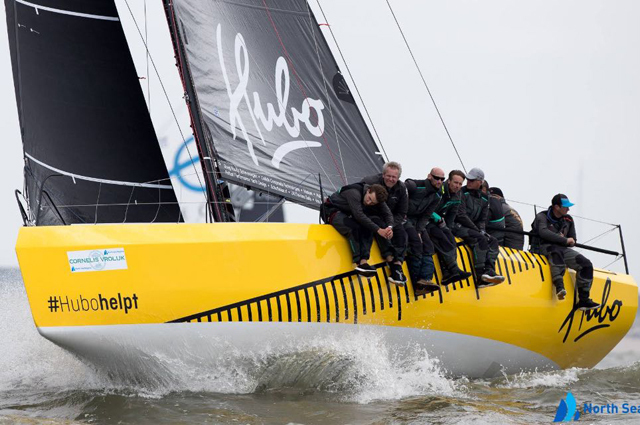 Waarschip W36 Worlds Edition for sale! 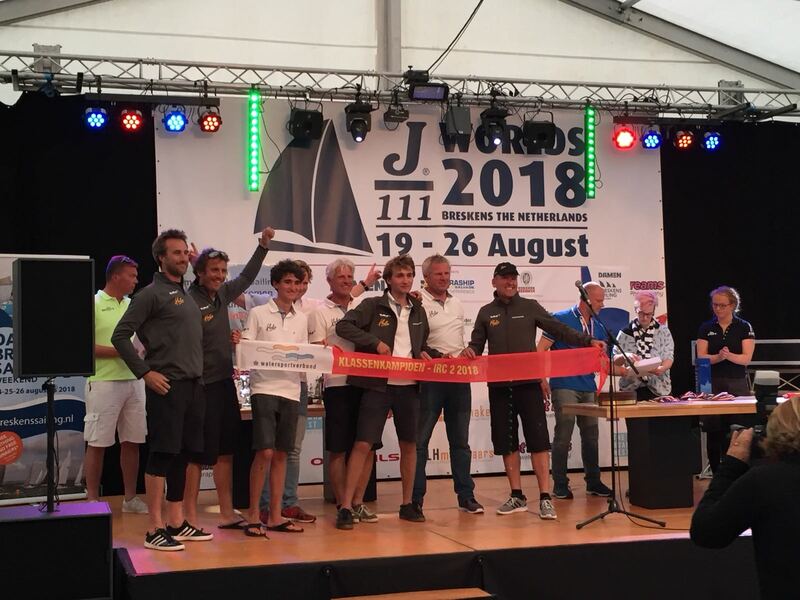 The W36 sailteam won -with little preparation time- Dutch IRC Nationals 2018 in both IRC as well ORC and was awarded best IRC boat of the overall event. She is to be inspected inside storage in the Netherlands. The boat is made in unique sandwich composite, it features a wooden core sandwiched in glass/epoxy. The epoxy is based on biological source material. The hull bottom is made of a Red cedar sandwich with biaxial E-glass, topsides and deck are cored marine ply sandwich with biaxial E-glass. The cockpit floor is PVC foam cored for lightness and stiffness. All halyards and most underdeck adjustment in a dedicated underdeck watertight conduit. 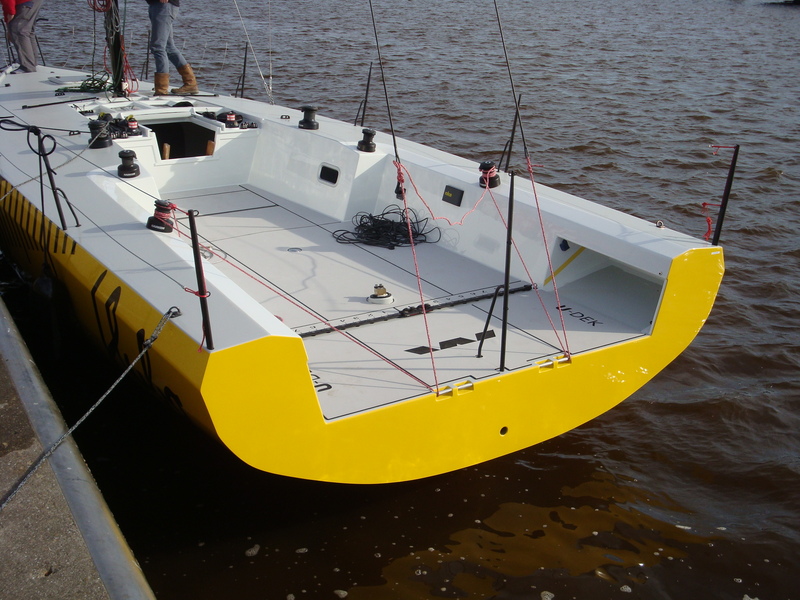 A solid aluminum keel frame is fitted to distribute the keel and mast loads safely to the composite structure. Cast iron fin fitted with a lead bulb precision cast by Schumacher, Germany. Both are casted from CNC manufactured moulds. The keel is fitted with a wide flange into the hull. 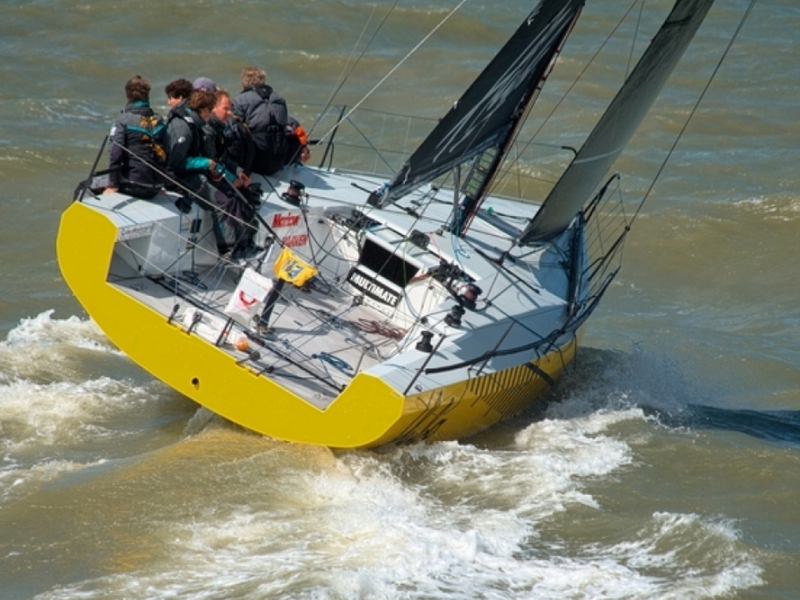 The exterior of the keel is professionally shaped. Glass fiber epoxy rudder made by Ceilidh composites over an CNC milled foam core. 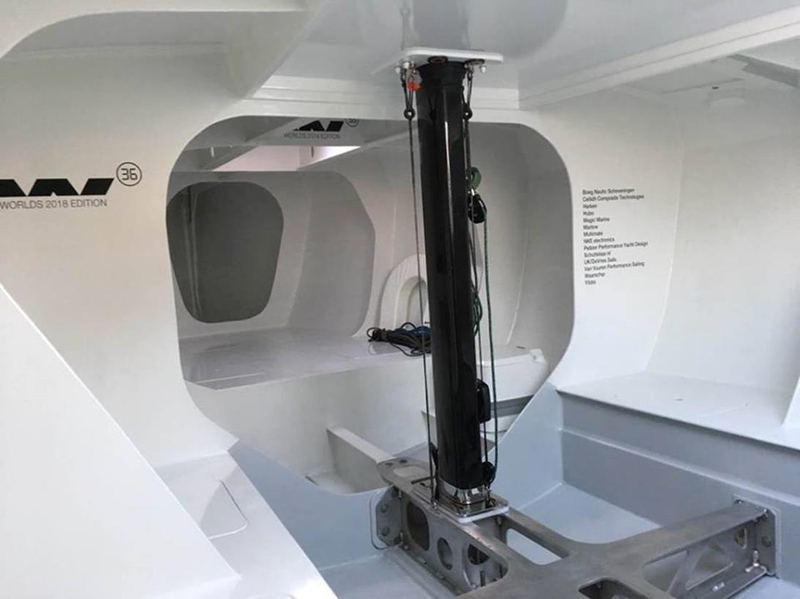 Stainless rudder stock and self-aligning bearings by Jefa Denmark. Carbon fiber helm with Spinlock tiller extension. 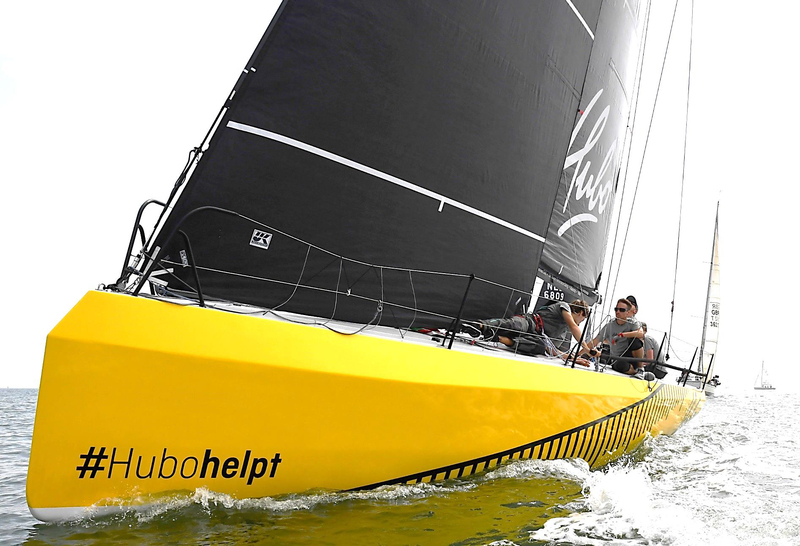 The ‘W36 Worlds Edition’ may be the only reusable and carbon-neutral yacht. The experts selected the type of FSC wood, its specific characteristics and natural fiber structure and treated it with biodegradable epoxy. Then they ‘baked’ it briefly in an oven to achieve extra durability. The result is lighter, stronger and more sustainable than the usual composite and carbon materials. 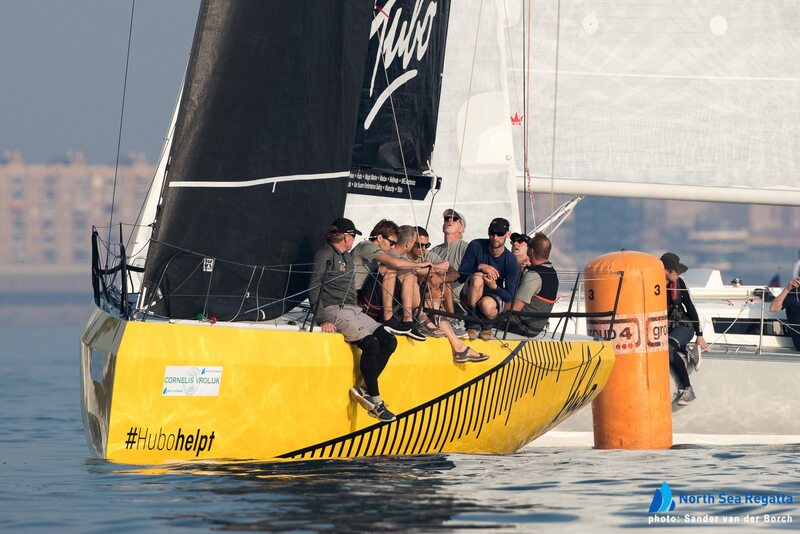 A design build around the sailors, and optimized for the two leading handicap systems IRC and ORC, allowing the freedom to perform at any event. When entering, the interior feels very spacious. 4 bunks and double forward bed fitted with cushions (light grey). Chart table under cockpit with seats port and starboard. Galley with sink and tap with water pump, Jetboil cooker. 40L polyethene drinking water tank. Engine box and separate steps. Led interior and navigational light. Carbon mast and boom with custom designed sections build by Ceilidh Composites. 2x carbon spreaders and Dyform rigging. Double backstay to accommodate fathead mainsail. 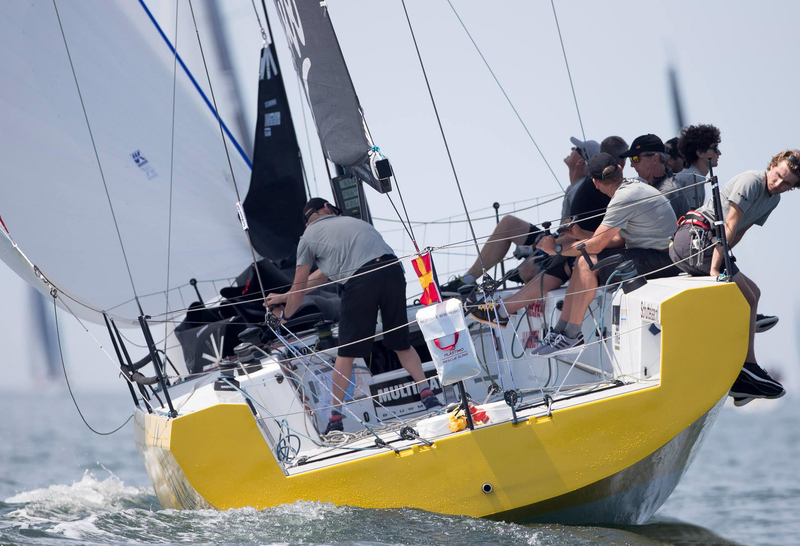 Halyards and trim lines from Marlow, D2 Grand Prix 78 and D12 Excel. Harken, Whichard, Ropeye, Spinlock and Marlow deck package. All Harken Performa winches (40/46): 2x Primary, 2x Mainsheet, 2x Pit, 2x Backstay. 6x Spinlock stoppers for Halyards and reefing lines. Transverse Harken jibtracks with under deck adjustment. 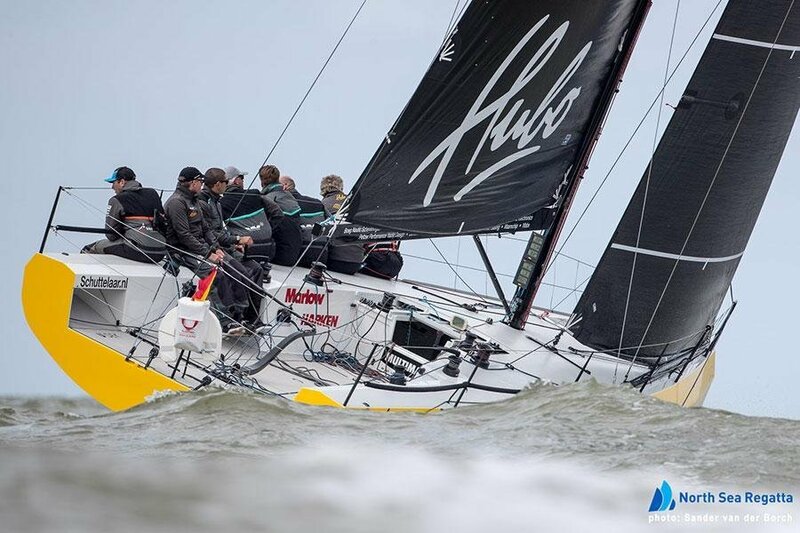 Mainsail traveller with underdeck adjustment exiting at mainsheet trimmer position. Custom black stainless stanchions, pulpit and pushpits. Stainless lifeline to ISAF specifications. Lewmar forward hatch and 2x portlights in cockpit sides. U-Dek foam nonskid on cockpit floor. Stainless lifeline to ISAF and OSR specifications. Dedicated liferaft locker underneath cockpit floor.